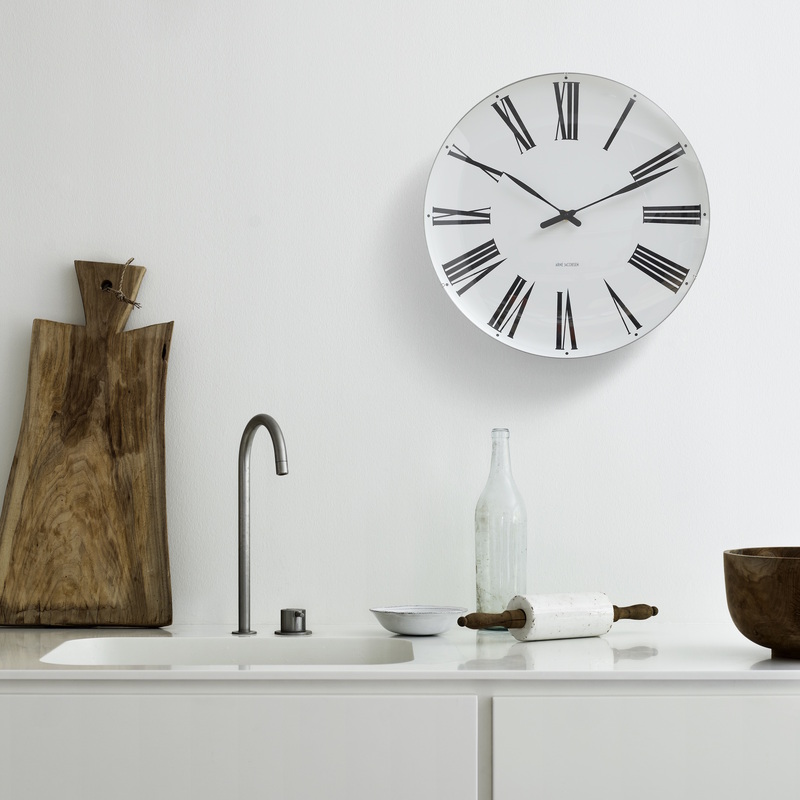 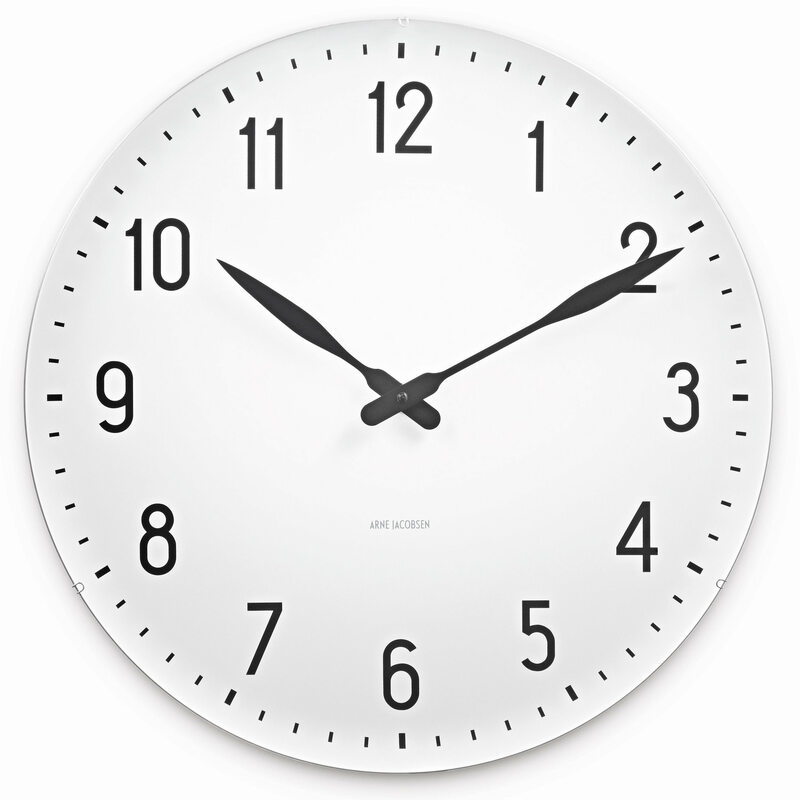 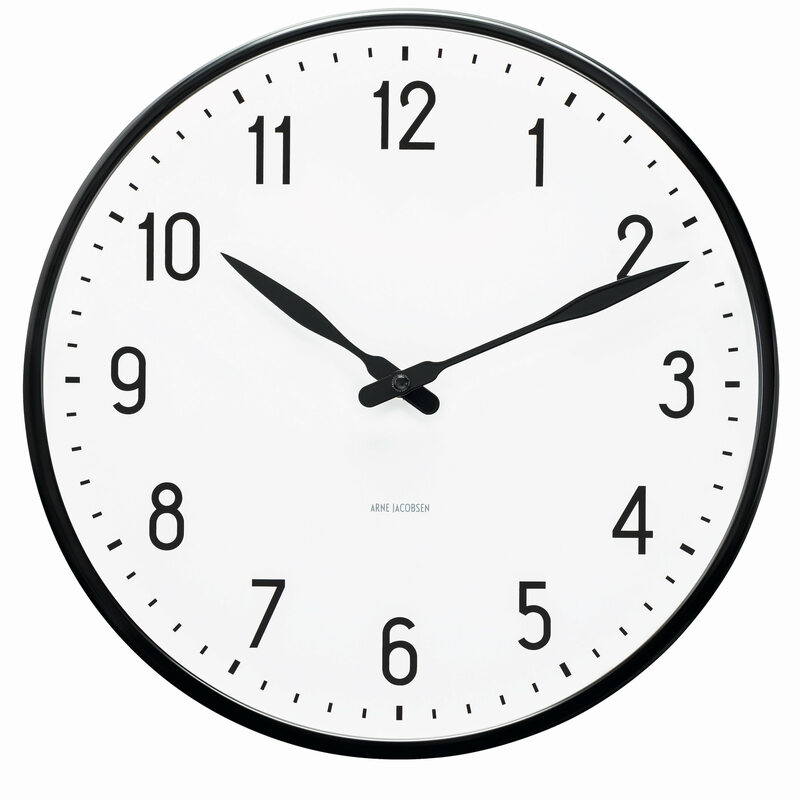 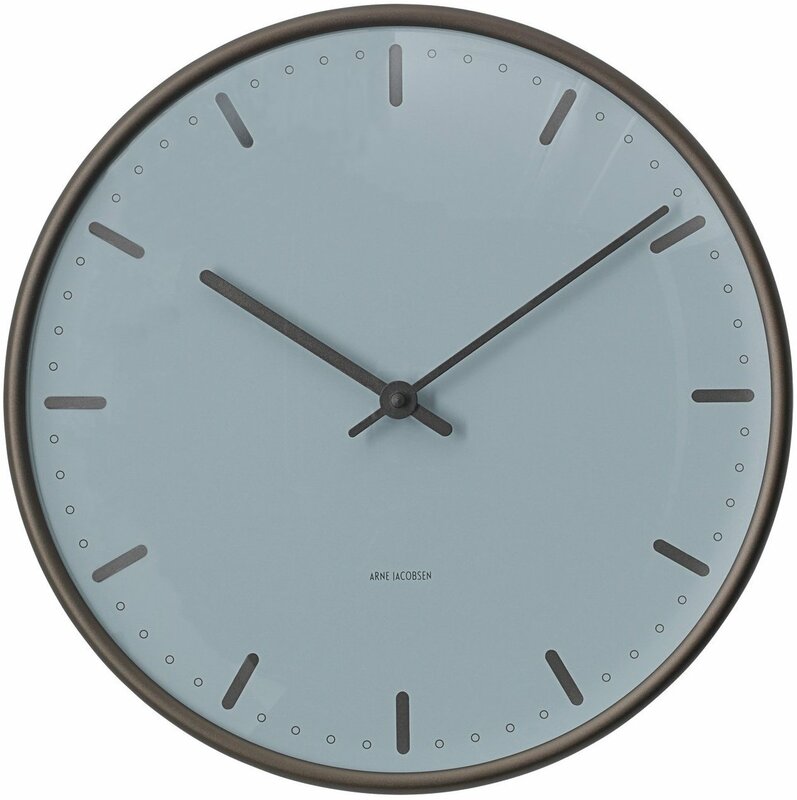 The City Hall, Station and Roman wall clocks were designed by Arne Jacobsen between 1941 and 1971. 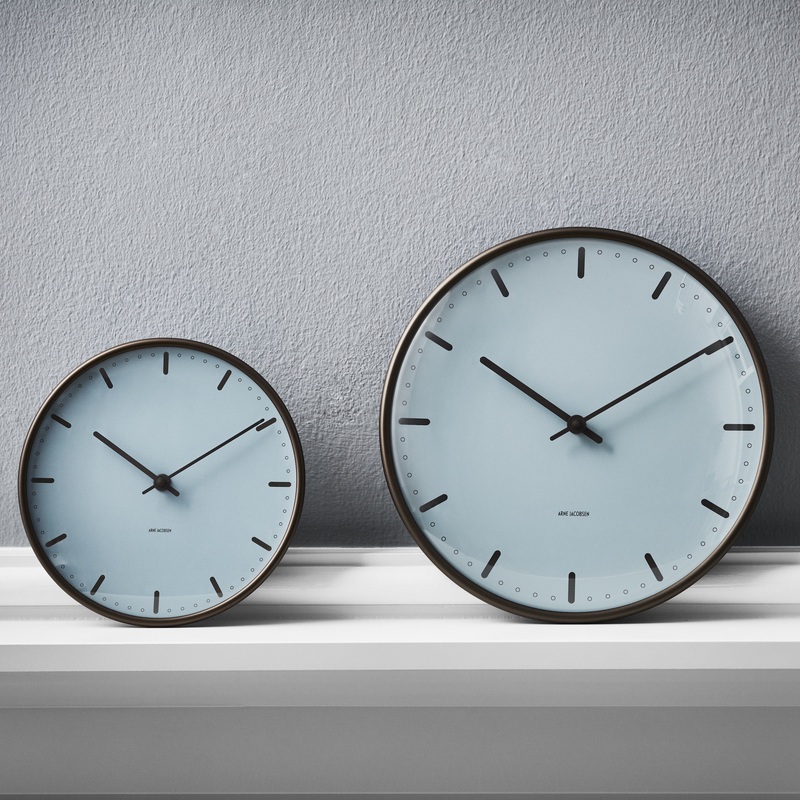 They have a mineral glass lens, an aluminum structure and a reliable Japanese mechanism – Rhythm –, which ensures a precision of about 0.5 seconds in 24 hours. 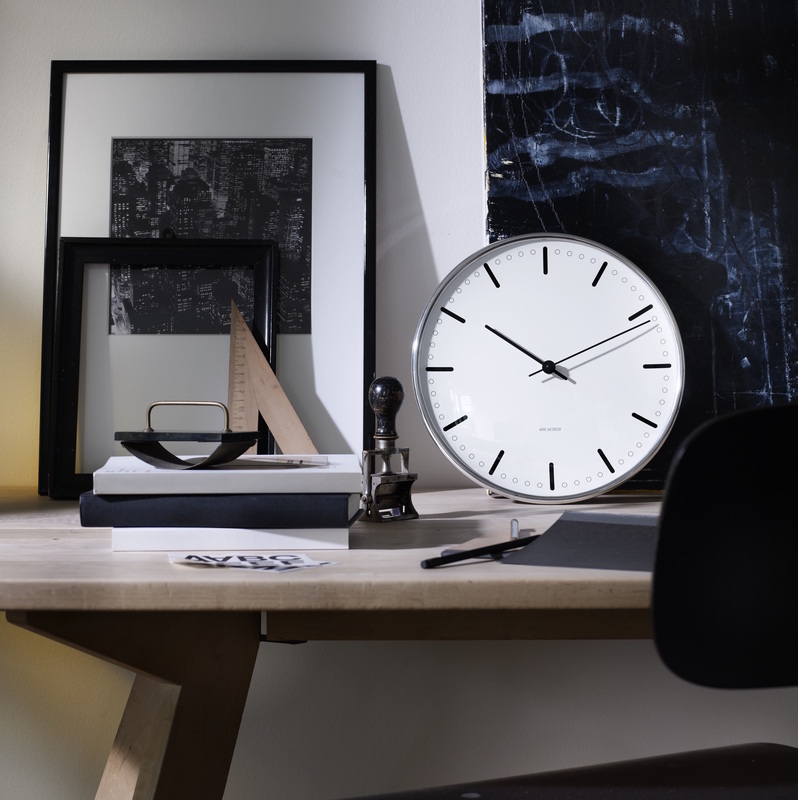 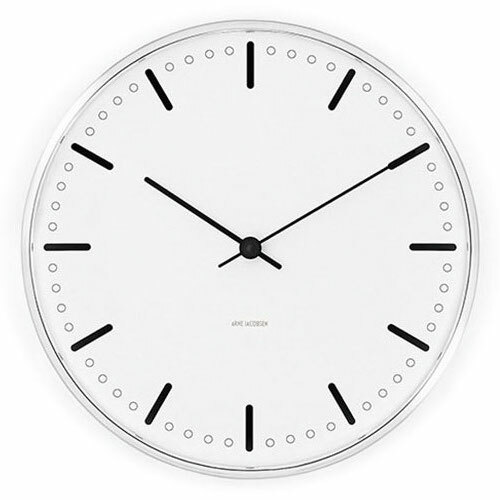 The Arne Jacobsen clocks come in many sizes and work with a 1.5V AA battery (not included).